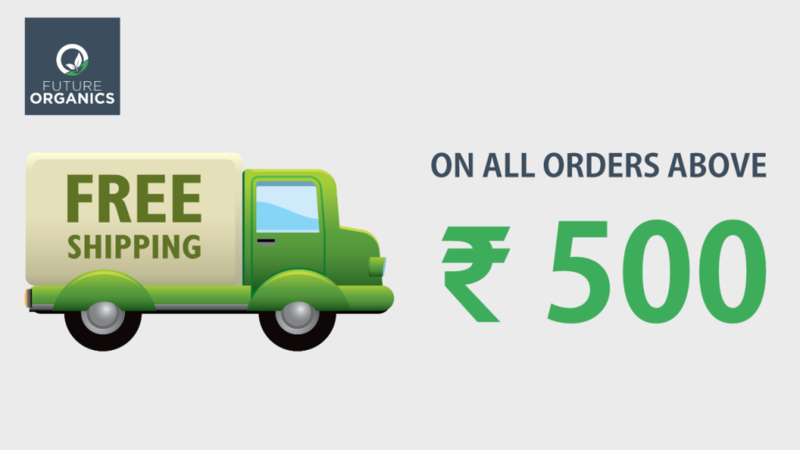 View cart “Pudina Pickle With Olive Oil” has been added to your cart. A simple vegetable turned into a pickled delight! 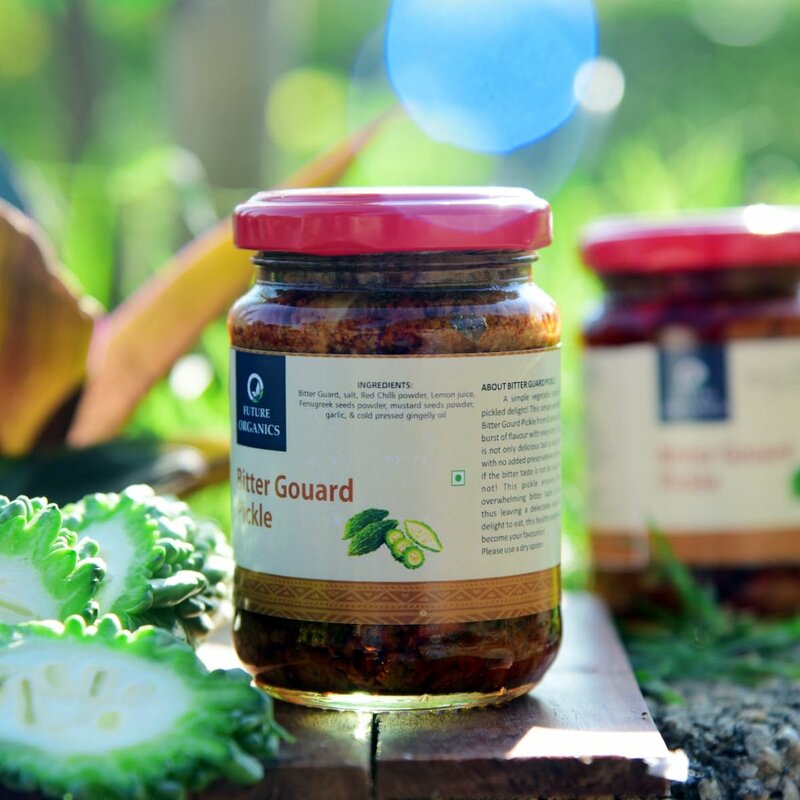 This simple yet delectable Organic Bitter Gourd Pickle from Future Organics is a burst of flavour with every bite. 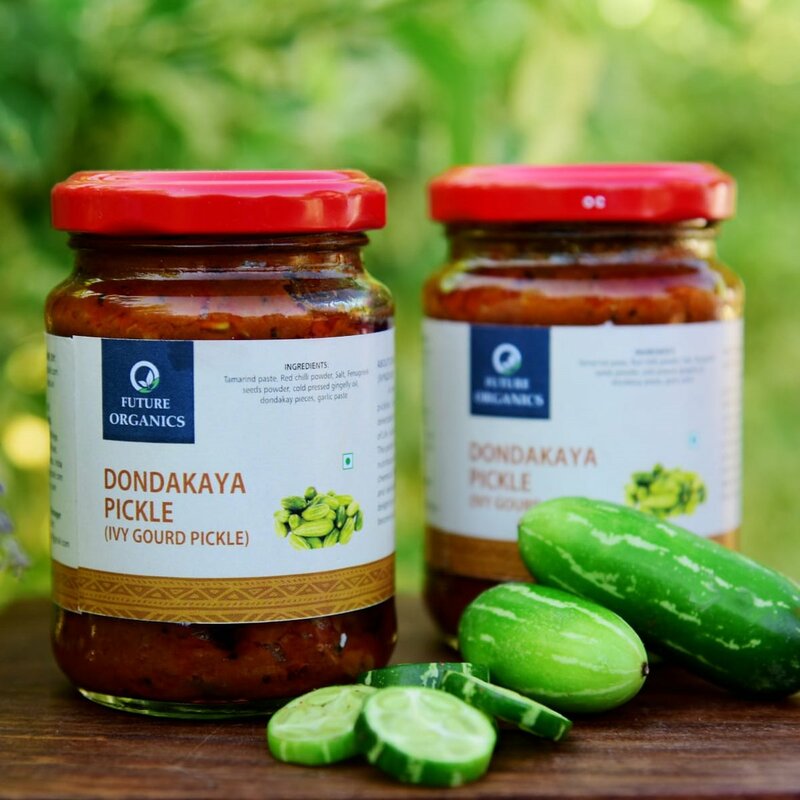 This pickle is not only delicious but is also nutritious with no added preservatives or chemicals. A simple vegetable turned into a pickled delight! 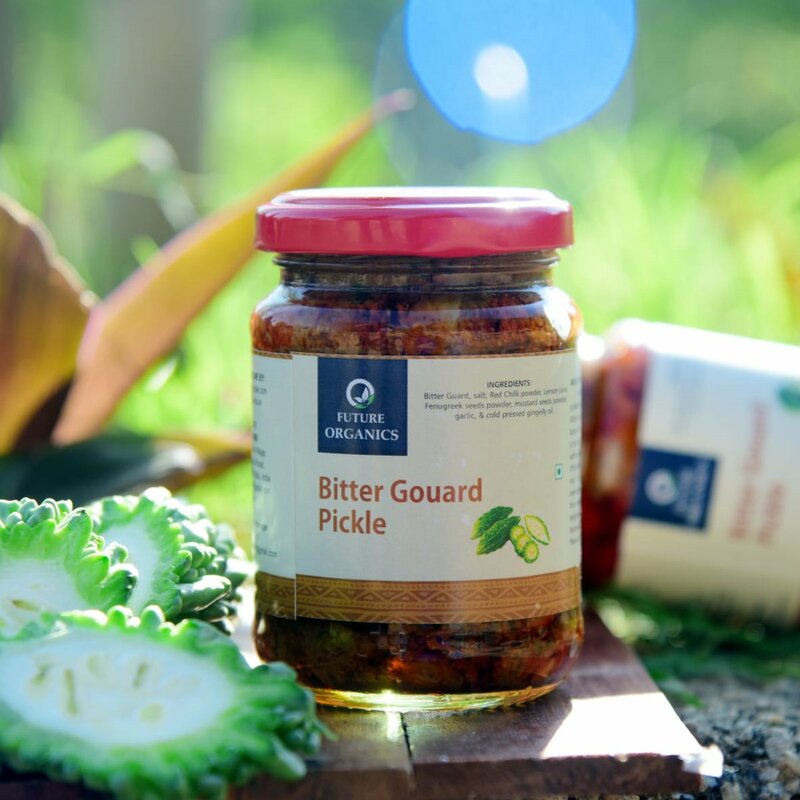 This simple yet delectable Organic Bitter Gourd Pickle from Future Organics is a burst of flavour with every bite. 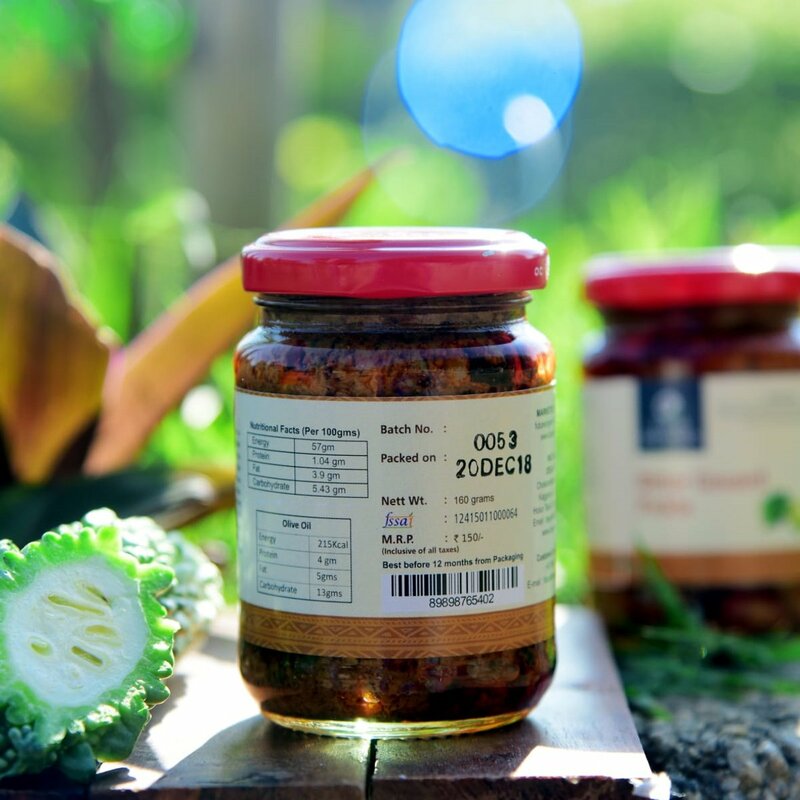 This pickle is not only delicious but is also nutritious with no added preservatives or chemicals. If the bitter taste is not for you, then fret not! This pickle ensures that the overwhelming bitter taste is subdued, thus leaving a delectable sour taste. 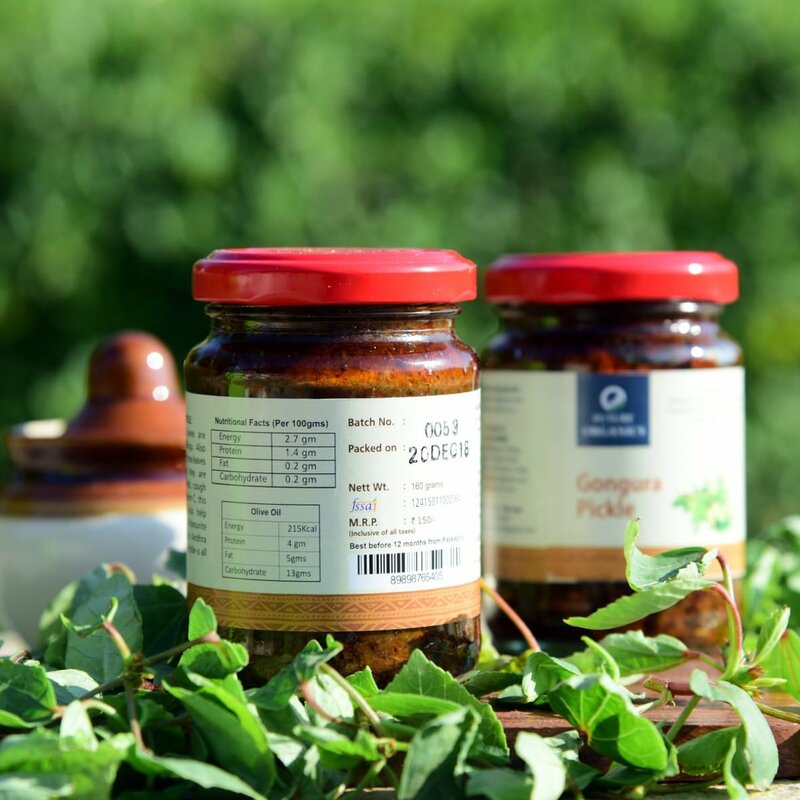 A delight to eat, this healthy pickle will soon become your favourite!